Source: Earn rank-up packages from Banshee-44. Got one to drop with SC Holo / High Cal or Ricochet Rounds with Zen Moment and Kill Clip. absolute monster. Threw a backup mag mod on brought the mag up to 30 but I think it would be better with a Freehand Grip mod. 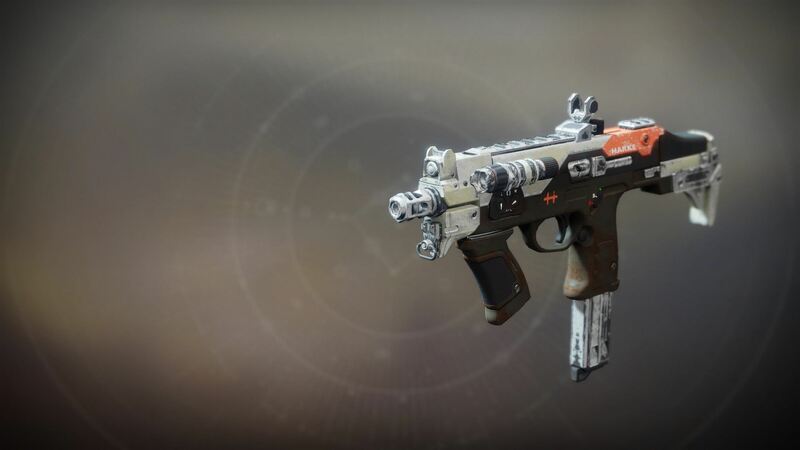 Grave robber and pulse monitor are good perks on this gun due to it's small mag size, meaning any melee kill with grave robber is an instant FULL reload, and going critical gives 10 extra bullets which are life savers against majors. Free-hand / Icarus grip / Radar tuner are good for crucible, and major spec for PvE. Ricochet rounds are handy for aerial engagement.